Home » News » What is Common Media Application Format (CMAF) ? 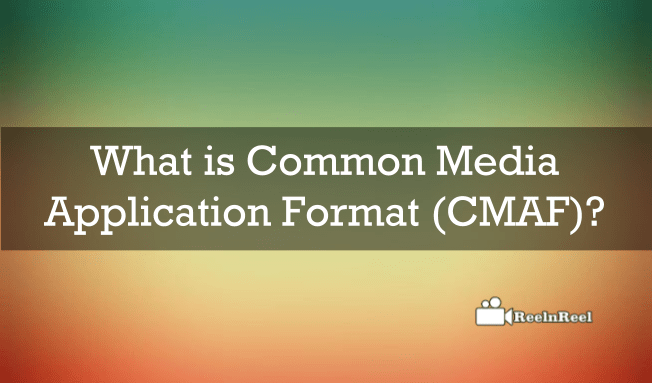 What is Common Media Application Format (CMAF) ? Video streaming is becoming the most popular and important service. Video streaming helps the distributors as well as the creators of the owners to reach a large number of an audience than any other broadcasts. It is challenging to deliver the video streaming to different devices. Because some devices support MPEG-Dash and some support the HSL based streaming, etc. Introduction of Common Media Application Format made it easy to video stream different protocols and this reduces the duplicate efforts. Common Media Application Format defines the usage of a subset of standardized media technologies and profiles such as MPEG-4, AVC, AAC and Common Encryption etc. Though solutions based on these technologies is nothing new, some minor variations are required in encoding, digital rights management, packaging and storage. CMAF restricts the use of underlying technologies to common shared subset and tries to reduce duplicate effort. The Apple CMAF specification is expected to support MPEF DASH and HLS streaming from a single source. The common media application format will define a video codec, the level and the profile, EOTF etc. It also defines the audio codec, the features and the configuration of the channel. Other things that it defines include closed caption and subtitle formats, optional encryption scheme for media samples of Common Encryption. Set of constraints for fragments, samples, elementary streams bindings and ISOBMFF files are also defined by Common Media Application Format. Common Media Application Format came up in mid-2015 is a media format. This supports the MPEG code suite of AVC as well as HEVC. This format also allows WebVTT and IMSC-1 captioning and subtitling formats. Switching between bitrates for players becomes easy. This format required video and audio segments independently. Common Media Application Format enables the OTT video producers and distributors to deliver the streaming across different devices. The duplicating engineering efforts are eliminated with the usage of CMAF and also the need to store different formats which are more or less identical. Regardless of the type of device, the encrypted media can be routed, cached and stored. This format supports multicast, hybrid network, physical media deliveries along with low latency live streaming. How it will Influence OTT Video? Common Media Application Format is a media streaming format. Common Media Application makes the delivery of OTT video stream to various devices, cheap and easier. The OTT streaming will be easier as major services will be running on a common format. Before trying to understand how OTT video influenced by CMAF, first we have to understand how the video usually delivered. Standardized encoding techniques such as HEVC are used to compress the streamed video. The files thus got are wrapped up as containers. These add timing information to the files to synchronise at the destination. However, these are not standardised. To understand better. The HTTP live streaming of Apple is wraps data into MPEG-2 transport stream and MPEG-DASH uses MPEG-4 containers. Difference versions are created by these different encapsulation formats. The two ways of doing this by OTT service providers is to do this beforehand that before the video stream. The providers will require more storage to create and store the different versions. Another way is to create the different versions on the fly, and this requires extra processing power, and this adds cost. By using the CMAF, it is possible to create standardised container format. This is likely to simplify the things. Finally, CMAF is going to make the OTT video future bright with single segment format by reducing the complexity and providing good quality of experience for the users.